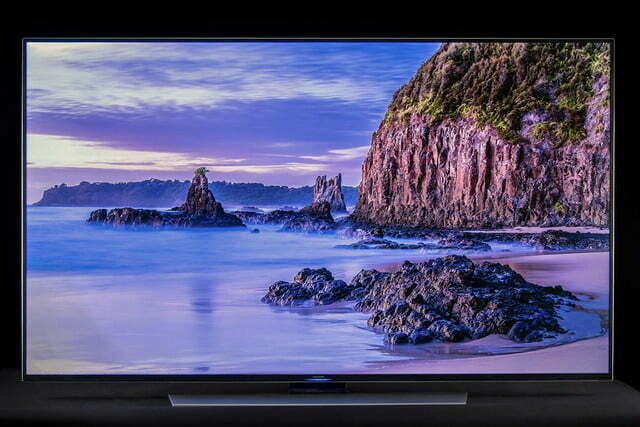 This is one of the best-looking (flat) TVs you’ll be able to get without breaking the bank – at least until next year. 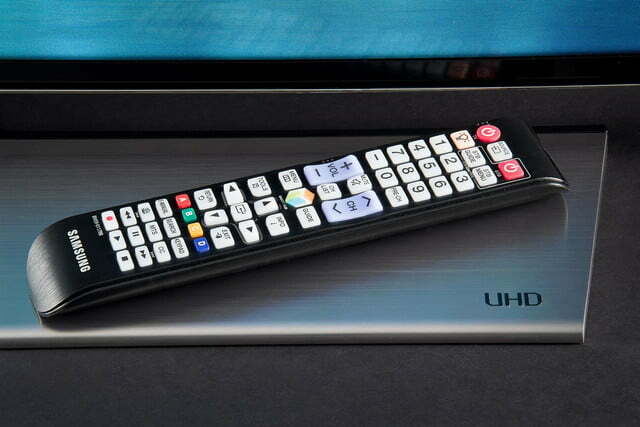 If you’re looking for the best LCD TV Samsung has to offer, but you’re not into the curved screen design, then the HU8550 series is the set you should be looking at. As an Ultra HDTV, it comes with almost every premium feature Samsung has in its stronghold, and those that it doesn’t come with have little to no effect on picture quality or general performance. 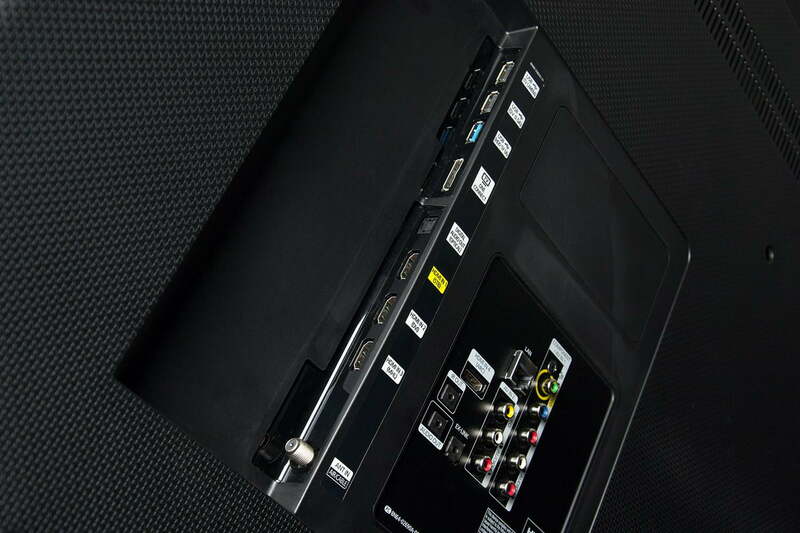 Even better, the HU8550 series costs considerably less than the top-tier HU9000 series. 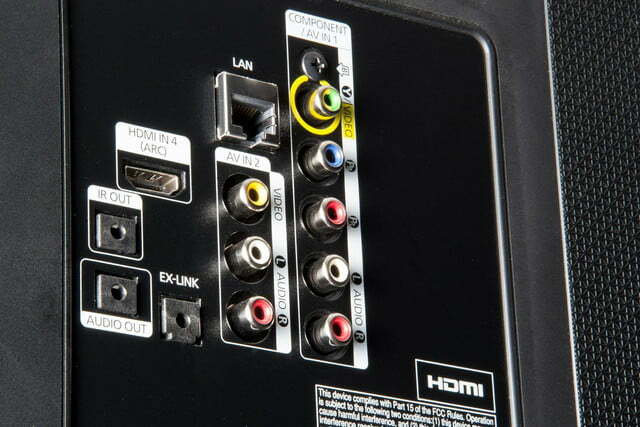 For example, the 65-inch version of the HU 8550 ($3,200) is about $1,300 less than the 65-inch HU9000 ($4500) which scored well in our review. 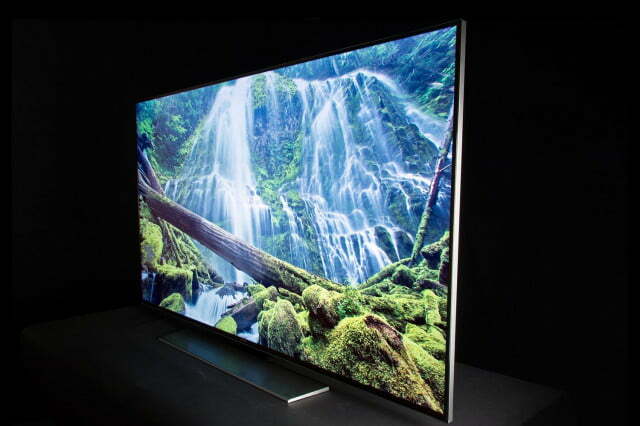 To be sure, $3,200 is a handsome sum for a TV these days, and folks still wary about making the jump to a 4K Ultra HD TV so early in the technology’s lifecycle are rightfully wondering if they should just stick with a premium 1080p model for a few more years. 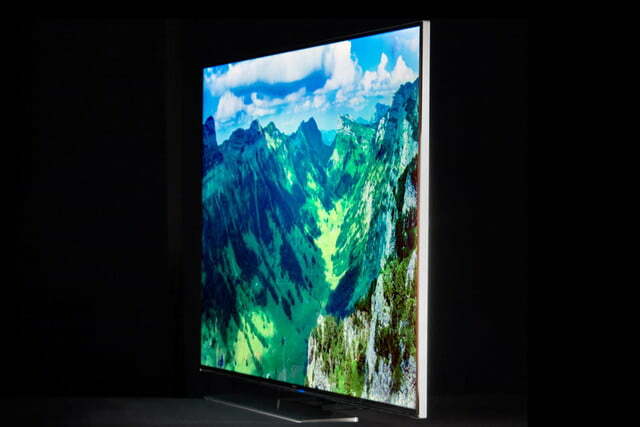 But if you look closely at Samsung’s 2014 TV lineup, you’ll find the company has made that decision a little easier: Samsung’s best LED dimming technology isn’t available in its 1080p televisions this year. 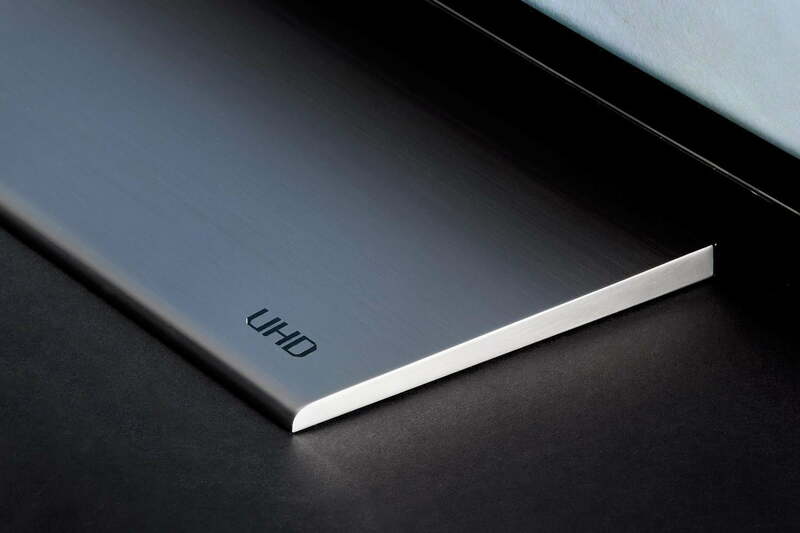 Aside from its “flat-ness” among curved competitors, the HU8550 is a fine looking specimen of a television, Ultra HD or otherwise. 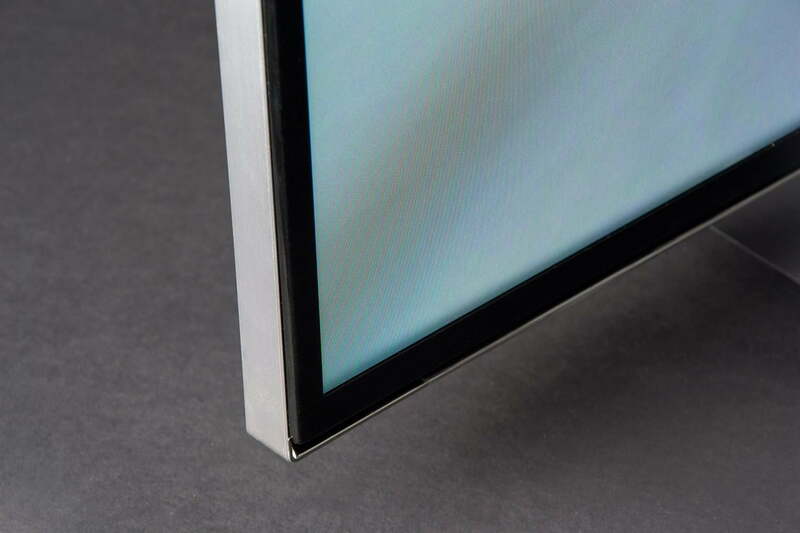 Its bezel is a thin strip of brushed black metal, graced with an even thinner strip of brushed silver metal along the outside of the TV’s border. 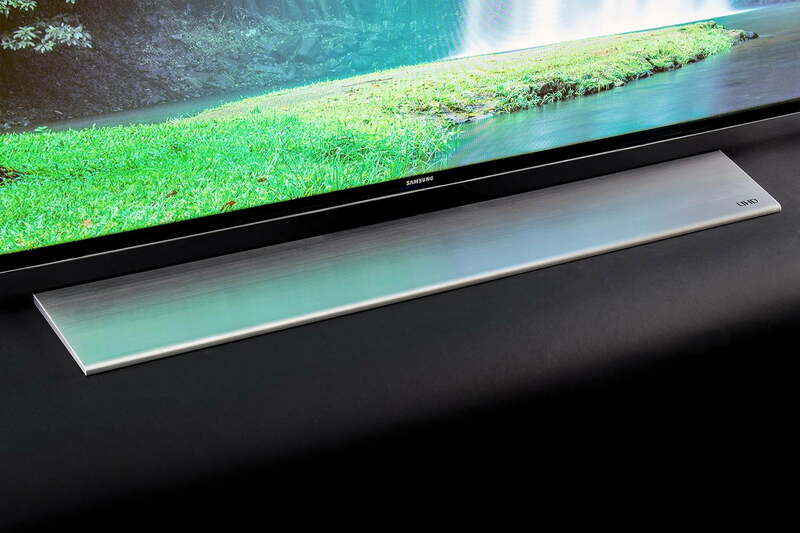 Samsung’s non-swiveling stand is an improvement over prior year in that it doesn’t run the entire TV’s width, feels more stable, and is attractive to boot. Priced at just over $3,200, the 65-inch HU8550 is a whole lot of awesome-looking television. 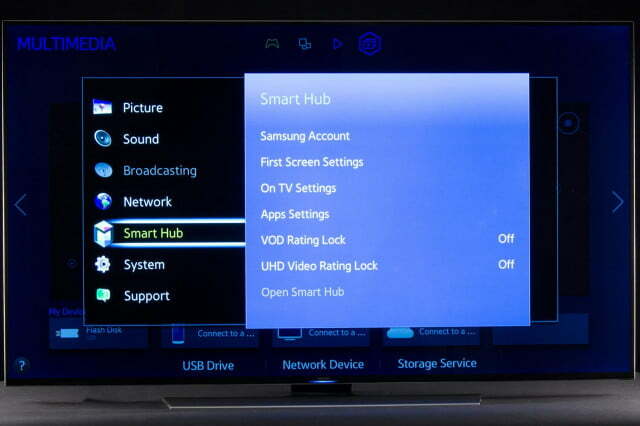 The absence of Samsung’s OneConnect box, which lets you connect devices remotely, is one of the reasons the HU8550 is less expensive than its HU9000 cousin. You can buy one separately for $400, but we suggest waiting to pick one up when it will have more of a pay-off as an Evolution Kit upgrade a few years down the road. Sony, Samsung, LG and Panasonic all use different backlighting technologies that excel in different areas, but it’s difficult to identify a clear “best.” Based on pure performance, we’d have to go with one of Sony’s televisions this year, perhaps the X850b or X900b series. 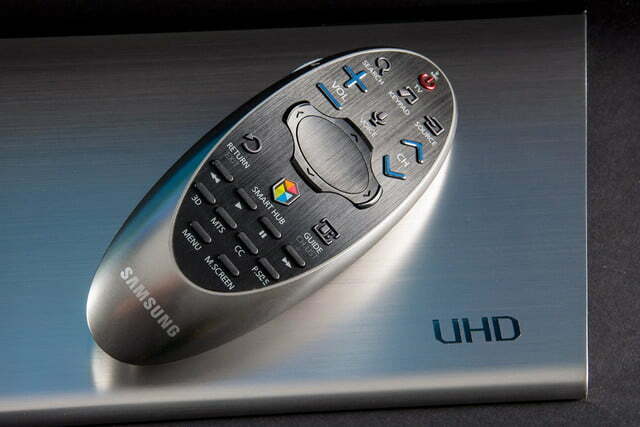 But, if we fold in value and hand out an award based on performance-per-dollar, Samsung wins, hands down. 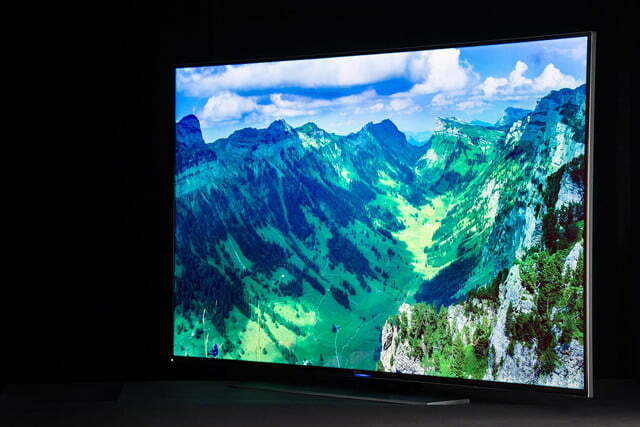 Priced at just over $3,200, the 65-inch HU8550 is a whole lot of awesome-looking television. Sure, the HU8500 struggles with edgelight bleeding like all edgelit televisions do (to some degree). 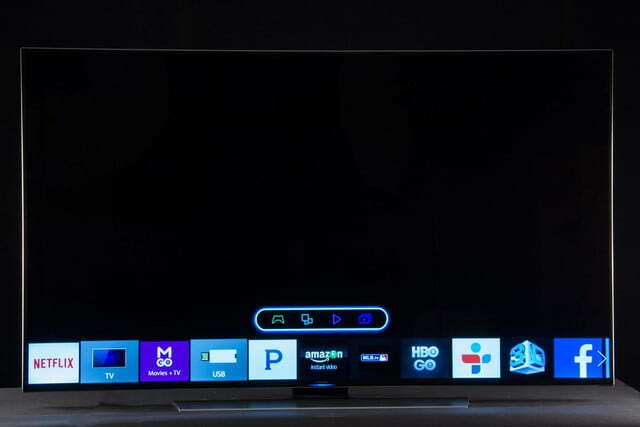 But Samsung managed to minimize the problem by going with a bezel just large enough to help cover most of the edge-light spillover, without going so far as to make the TV look like it’s 10 years old. 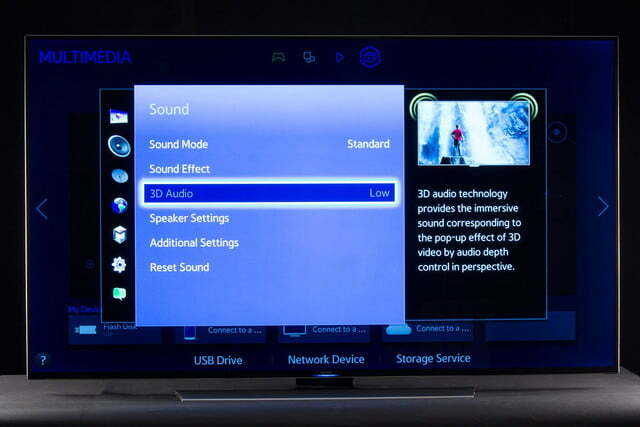 Aside from that one issue, the HU8550 fares pretty well for an LCD television. 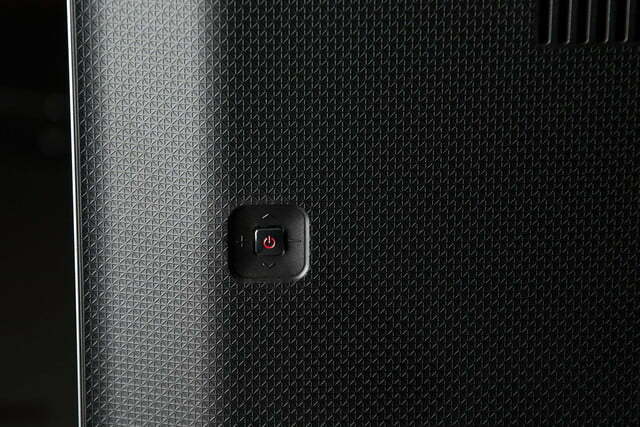 Screen uniformity is strong, with no obvious hot spots (save those at the extreme edges). 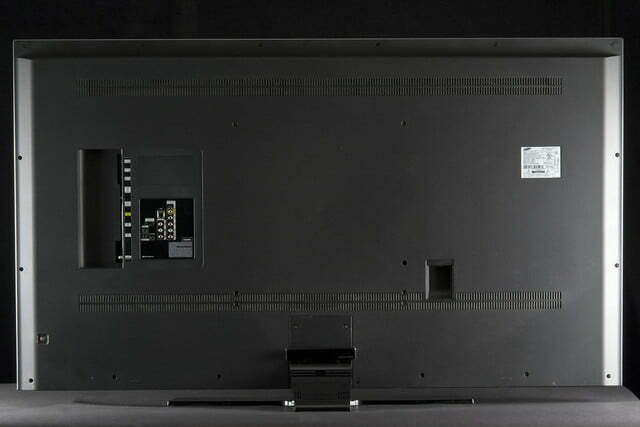 Brightness, we assure you, goes far beyond what the average viewer will need, and, by contrast, black levels are very good, though not quite as deep as our Samsung F8500 plasma, and nowhere close to LG’s recently released EC9300 OLED (nothing is, really). 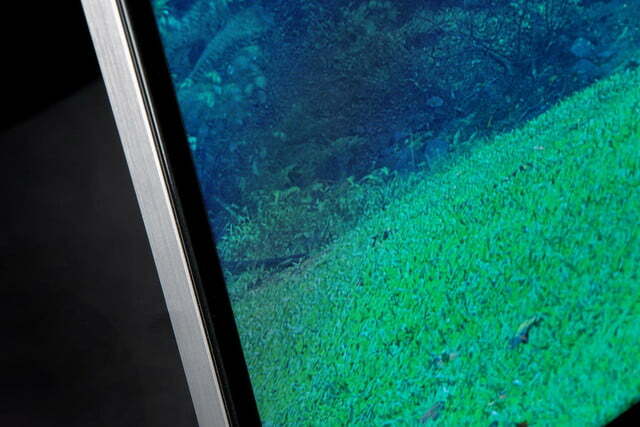 Samsung’s Ultra Clear Panel has a lot to do with those black levels, as it does a good job of bucking ambient light. Unfortunately, that Ultra Clear Panel comes with two downsides: reflectivity and degraded off-axis viewing. 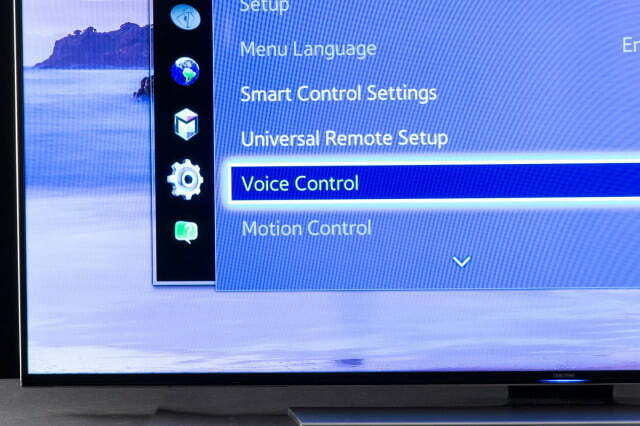 The latter is common on all LED panels to some degree, but it’s worse than we’d like to see on the HU8550. 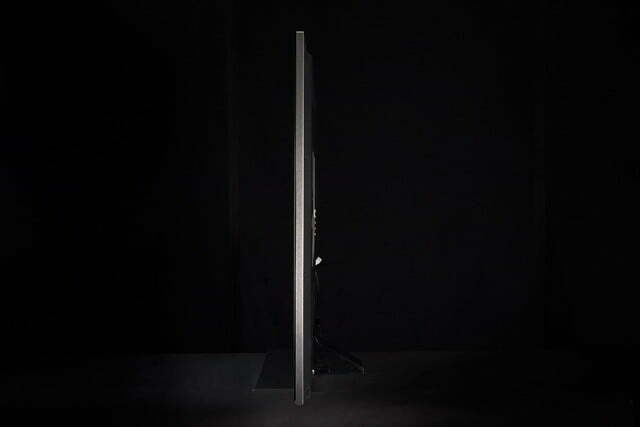 It doesn’t help that the TV looks so great on-axis, either. To fight the mirror effect, you can draw the curtains a bit during daytime watching, or juice the brightness, if you must. 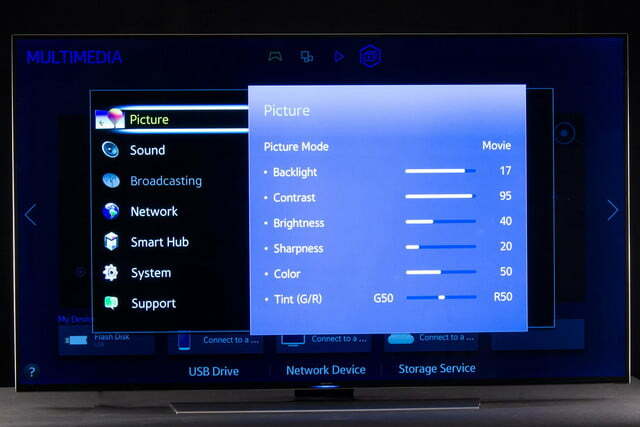 The HU8550 looks most accurate when its Movie mode preset is used. This will bring brightness to a suitable level for most, and it offers the best black levels, contrast and shadow detail. Color is also great right out of the box. Good enough, in fact, that a call to an ISF calibrator won’t be necessary but for the purest of purists. 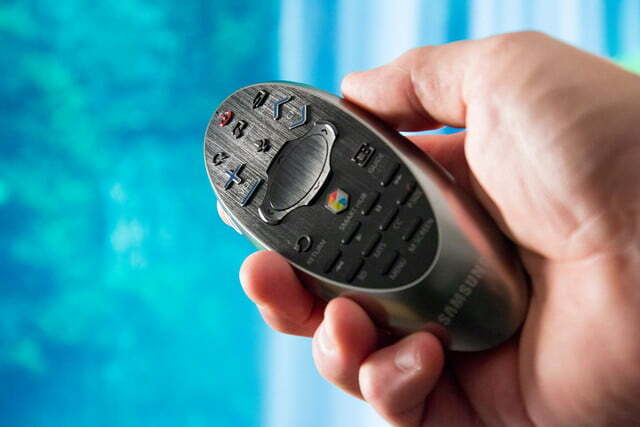 We’d also like to take a moment here to thank Samsung for ensuring that motion smoothing is turned off by default in the “Movie” preset, which save customers from asking why all their movies look like soap operas. We will say, though, that Sports fans may want to consider adjusting one of the other presets for watching fast moving sports by copying over most of the Movie preset’s settings, but turning up the de-blur option just a few notches (leave that de-judder slider alone!) to get better-looking fast-action footage without the soap-opera-like effect.